I loved how simple and quick this recipe was! Just a handful of ingredients, and short prep time. What I learned though, is that coconut oil alone is not a substitute for egg. The texture of these cookies was odd, and they were extremely fragile, crumbling to pieces at the slightest touch. I baked these to take to a friend’s house that same evening, and transporting such delicate cookies was a challenge! On the plus side, they tasted amazing! Everyone absolutely loved them! 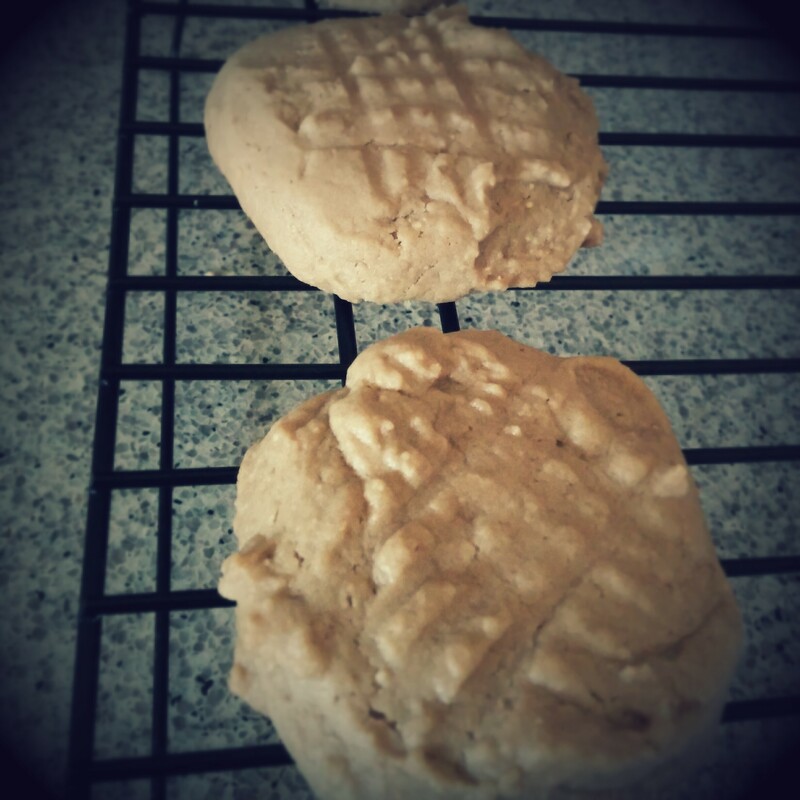 The coconut oil gives a gentle depth to the taste of the cookie without being overpowering. I will definitely be trying these again soon, with hopes of perfecting the recipe. I think I’ll try an actual egg substitute, and maybe add a small sprinkling of sea salt to the tops of the cookies right before they go in to the oven, just to boost the sweet and salty flavor a bit more. Stay tuned for updated, and hopefully a new and updated recipe for these cookies! Now that I’ve finished crafting everything for the pop-up shop on May 15 & 16, I have a little time to work on other projects. I have a couple of new pattern ideas that I’m going to begin working on very soon, but I decided it was finally time to pick up a project that I put down about three years ago. No, that is not a typo. Three years! 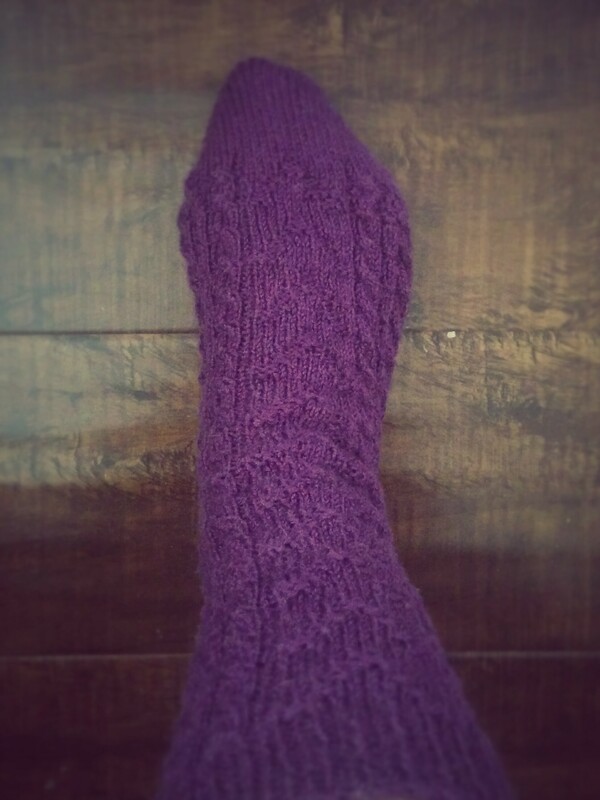 When I first started to knit, I would always daydream about all the handmade socks I would one day have. I made a basic pair that turned out really well, so I decided to make a slightly more complicated pair using a pretty pattern that I found. I successfully completed the first sock, and was very pleased with my work. The sock fits wonderfully, feels great, and looks pretty darn good, if I do day so myself! I didn’t plan on getting distracted from this project halfway through, but I obviously did. I moved on to another project with complete intention to immediately return to my socks afterwards. But then, I moved on to another project. And another. And now, three years later, I’m finally decided that it’s time to finish the second sock. Hopefully I’ll get through it before my latest yarn order arrives in the mail, because I have an exciting gift to make for a friend that’s expecting their first baby, and I just don’t know if I can avoid the temptation to start right away! 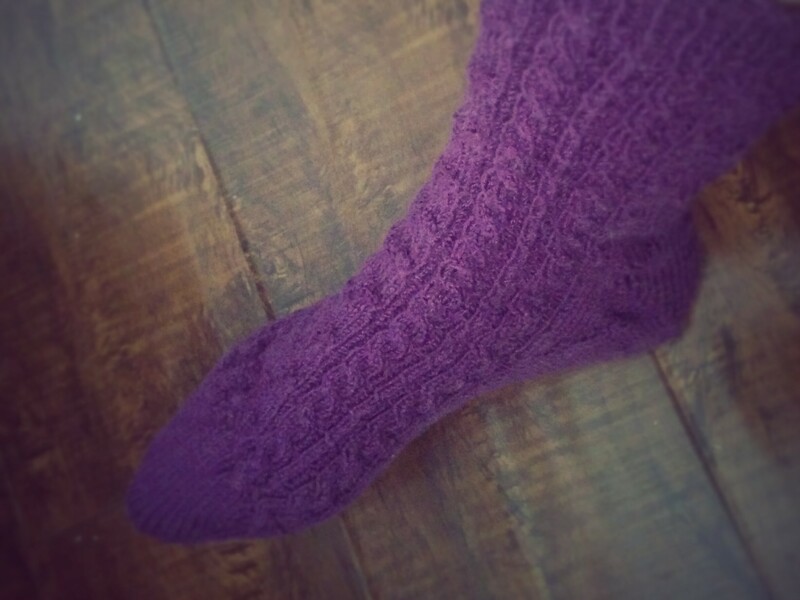 I really love this sock pattern by Sherry Menton. It’s so clearly written and easy to follow, even after putting it down for so long. It has been a fantastic way for me to introduce myself to knitting cables, which is so much easier than I thought it would be. At least I actually made it back around to this project, unlike countless other creative projects that are probably doomed to remain in varying levels of unfinished for a lifetime. Next > Easy & Delicious Stove Top Popcorn (that just happens to be vegan)!